Singapore has become more socially diverse in recent years, beyond our traditional differences of race, religion and language. Much of this has come about because the country has positioned itself at the intersection of global flows. But welcoming what is new and foreign into our island has meant that Singaporeans, who have become accustomed to a set number of diversities which are neatly categorised and presented, have had to accept that these are in a state of flux. A case in point would be the growing number of children of mixed parentage, who have parents not just from the different ethnic groups in Singapore but from diverse racial, nationality and socio-economic backgrounds. Such blends intensify the anxieties among those who have become accustomed to neat categories to deal with the diversity around them. We also have significant segments of our population who are wary of the diversity management strategies of the past. These included homogenisation, where inclusion of all forms of diversity was not the priority; public policy instead promoted the forging of a national identity. Thus, instead of recognising the many dialects that the Chinese used, Mandarin was made the official language of the Singaporean Chinese. This decision, though contentious in some quarters, reduced intra-linguistic differences and built social cohesion. Singapore's highly globalised citizens today, who align themselves with civil society and feel a sense of greater social responsibility, have questioned if the traditional model of diversity management is the best way forward. They believe in greater inclusion for all. They are thus likely to feel that the Chinese-Malay-Indian-Others model is too rigid and should be dismantled, question if family policy should be based on the traditional family structure, and be concerned that migrant workers do not have the same rights as local workers. How should policymakers seek to better deal with our new diversities and aspirations for greater inclusion? A recently-released book, Managing Diversity In Singapore: Policies And Prospects, which my former colleague, Dr Chiang Wai Fong, and I edited, could offer some useful insights. First, our policymaking community needs to better appreciate the complexity that is intrinsic in diversity. If we are to be more inclusive and ensure that we provide adequately to a diversity of needs, we must understand the complexity that is in our society and become familiar with its properties. We must recognise that individual experiences of diversity are shaped by forces such as gender, age, class and employment status interacting in a complex manner - social scientists call this intersectionality. So it is not possible, for instance, to design a one-size-fits-all service for single mothers, older persons or the disabled since their experiences differ based on their intersectionalities. Second, we should help our population become accustomed to the differences in our society and be careful not to eagerly stamp out diversities which might go against current conventions. While there was a time when Singlish was viewed as a corrupting force to standards of English, needing to be excised, there has been greater acceptance that it plays a role in how Singaporeans perceive their national identity and feel closeness to fellow residents. Essentially, we should not simply reject everything that is out of the norm but carefully study them and perhaps acknowledge that they contribute positively in different ways to our social fabric. But to do so will require our population to be mature to imbibe these different perspectives and look for synthesis rather than engage in boundary-making. This unfortunately has taken some time when it comes to the issue of migration, where a sizeable number of Singaporeans still think in terms of "us versus them" rather than viewing migrants as a potential strength for Singapore. Third, we should push for policies which recognise the complexity of diversity. It is inevitable that the design of policies would require that group boundaries are demarcated so that entitlements can be variably given. For instance, we need to differentiate those who are disabled to ensure that they are able to park at disabled parking spaces. However, we can allow for less rigidity in other policy areas. The double-barrelled race options for children born of mixed parentage is one step in that direction. Some have also argued that we should make second language choices fluid in school since parents may not align themselves with the current construction where the parent's racial category dictates language options in school. Policies could encourage Singaporeans to donate to all the self-help groups rather than the one which serves their ethnic group. These are policy tweaks which may help Singaporeans better accept the fluidity of categories. Fourth, we should better articulate the values that bind us. Such values give us a sense of rootedness amidst change. But this too can be contentious since we are in an era of value pluralism. 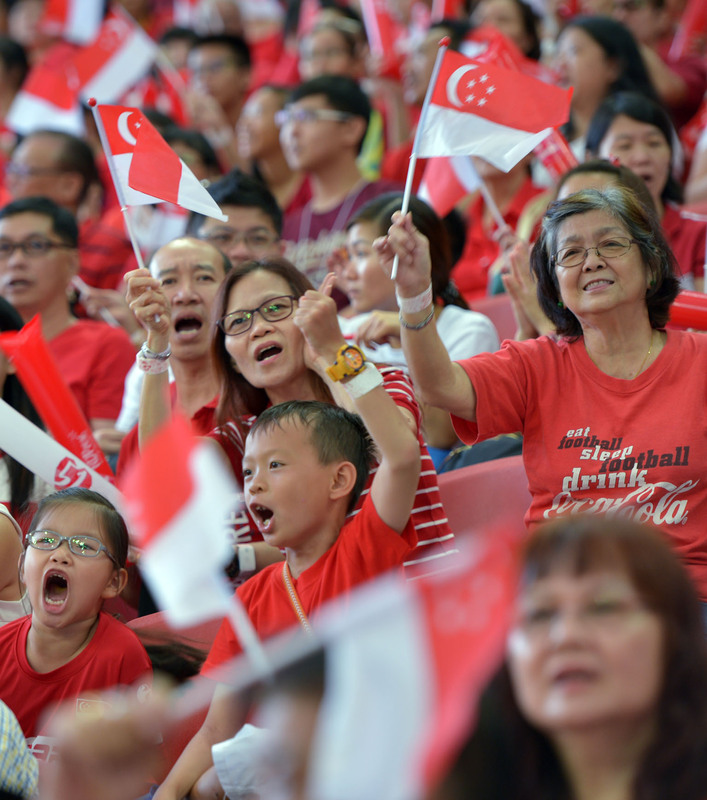 Nonetheless, after so many years of nationhood, we can be assured that there must be some values that are salient to all Singaporeans - one of which is that our diversity can be a strength and not a weakness, and that we are better off with diversity than without it. Dr Mathew Mathews is a senior research fellow at the Institute of Policy Studies, National University of Singapore.